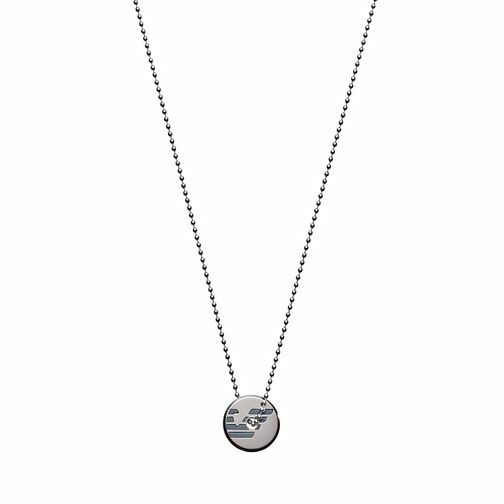 Add some sophisticated style to your daily outfits with this Emporio Armani graphic necklace. This charming necklace features the iconic Emporio Armani symbol of the Italian fashion house. Wear alone for a simple everyday look or wear alongside other necklaces of varying lengths.